And now for some Disney Magic... 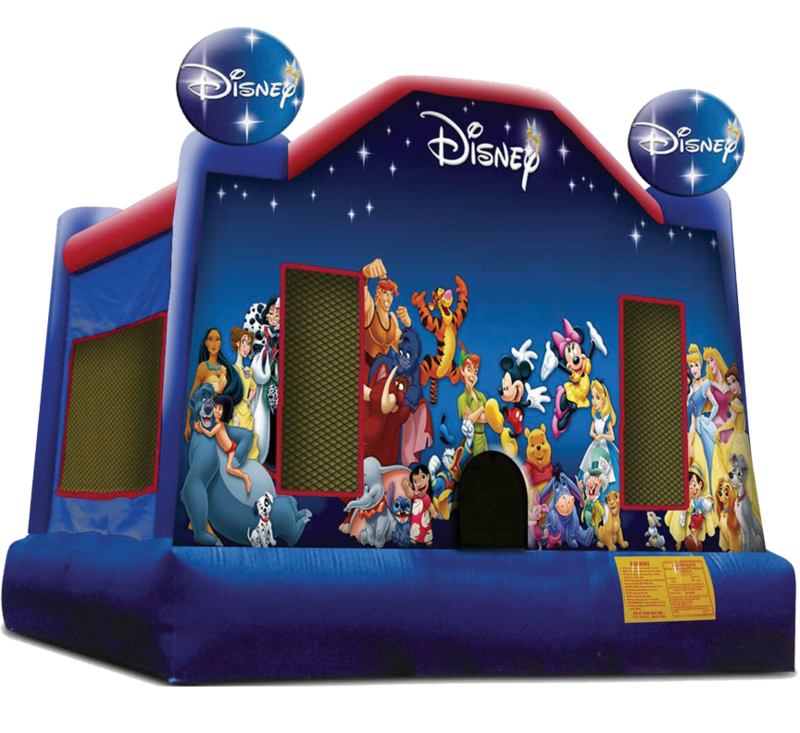 Invite Mickey Mouse, Minnie Mouse, Goofy, Pluto, Tinkerbell and the gang to your next party with the World of Disney bouncer! 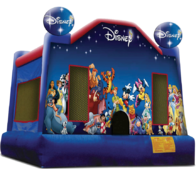 This bounce house is constructed of heavy duty vinyl, featuring oversized knotless netted windows for improved visibility. The vibrant colors and beautiful artwork will bring a festive Disney atmosphere to any occassion. You must order soon as this is one of our most popular Disney selections! ELECTRICAL: Requires (1) 10-15amp outlet (Note: will not work on GFI outlet). Red Light/Green Light - When you yell “green light”, everyone jumps. On “red light” everyone freezes. The last one to freeze is out! Seesaw - Two kids get on the same “hump”. They jump opposite of each other and wah-lah, an inflatable seesaw! You can also incorporate a physics lesson here that explains why a jumper can get more “air” when using the seesaw technique (compression & pressure). Bounce Like a... - Yell out an animal and all the kids have to jump like that animal! Try kangaroo, frog, rabbit, then make it interesting with elephant, lizard, coyote, whale, etc.